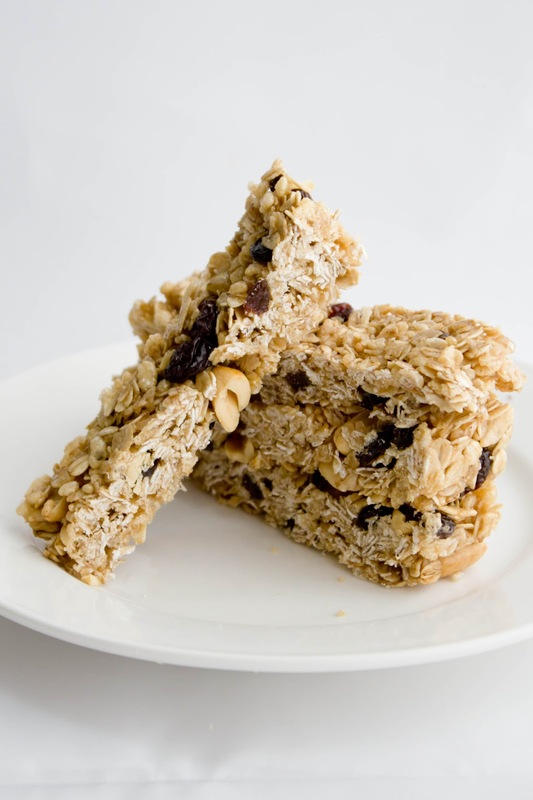 Add the granola, rice cereal, raisins and peanuts to the saucepan and fold the ingredients to evenly coat with the sauce. Transfer the granola mixture to a 9-by-13-inch ungreased baking pan and press firmly to evenly fill. 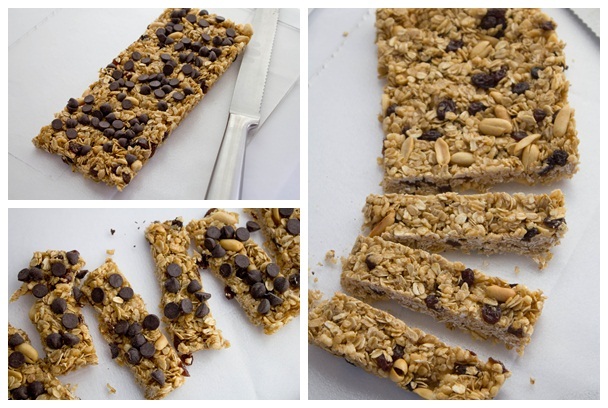 Gently press the chocolate chips onto the top of the granola. 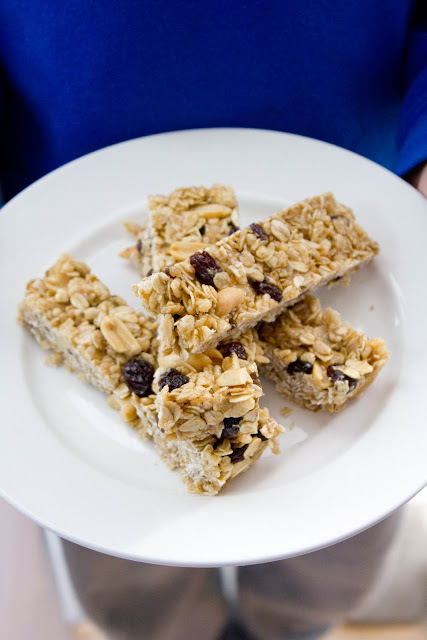 Then let the granola mixture set in the refrigerator until firm, about 15 minutes, then cut into 2 1/4-by 3-inch bars.